27.5 cent plot with a house is ready for sales. church, Temple, Market, within 500 meter. 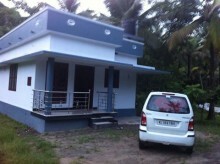 17 cent residential land for sale in Munnamkutty,Kayamkulam,Alappuzha district. Easy access to temple,church,school other govt offices. The residential home project at mavelikkara development by prompt homes. It has a amiable design and is well equipped with all the modern facilities. The project offers spacious and skillfully designed 3 bhk home. 47 cent Residential land with Beautiful Home for sale in Munnamkutty,Kayamkulam,Alappuzha. The property consists of 3bedroom,bathrooms,hall,kitchen,work area,out house,sit out,porch,well,compound wall with gate. The property has a 2 side tar road frontage – All Vehicle accessible. Locality is very peaceful and serene. 25cent Residential land for sale in Munnamkutty,Kayamkulam,Alappuzha district. The property has a 2 side tar road frontage – All Vehicle accessible . The property has proper compound wall and gate . Locality is very peaceful and serene . 47cent Residential land with Beautiful Home for sale in Munnamkutty,Kayamkulam,Alappuzha. The property consists of a 3 bhk house with hall,Bathrooms,kitchen,work area,out house,sit out,porch,well,compound wall with gate. The property is located 50metre away from bus route,1km away from Munnamkutty Kayamkulam-Punalur road,4 km away from Kayamkulam railway station. 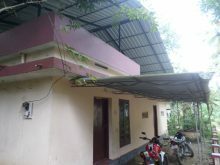 7 cent land 800 Sq.ft small individual furnished house with panchayat tar road frontage kuttemperur Mannar for sale. 2 bedroom 2 bathroom kitchen and small hall, suitable for small family.